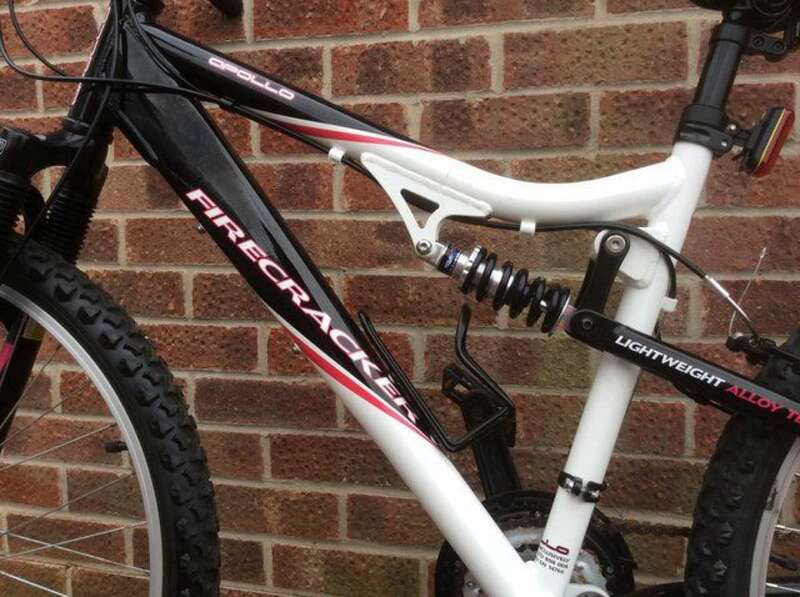 Apollo Firecracker full suspension ladies mountain bike with a 17 inch frame for sale. 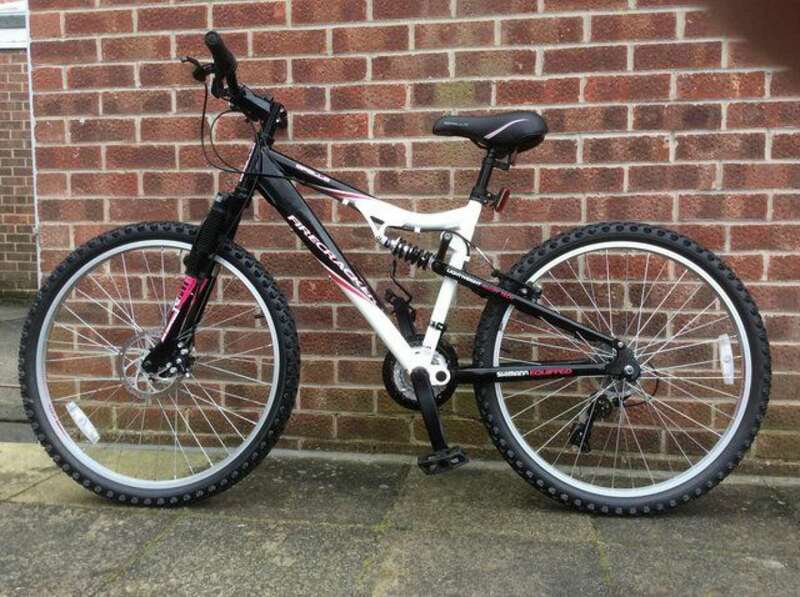 This is a great looking, quality mountain bike in white/red/black. 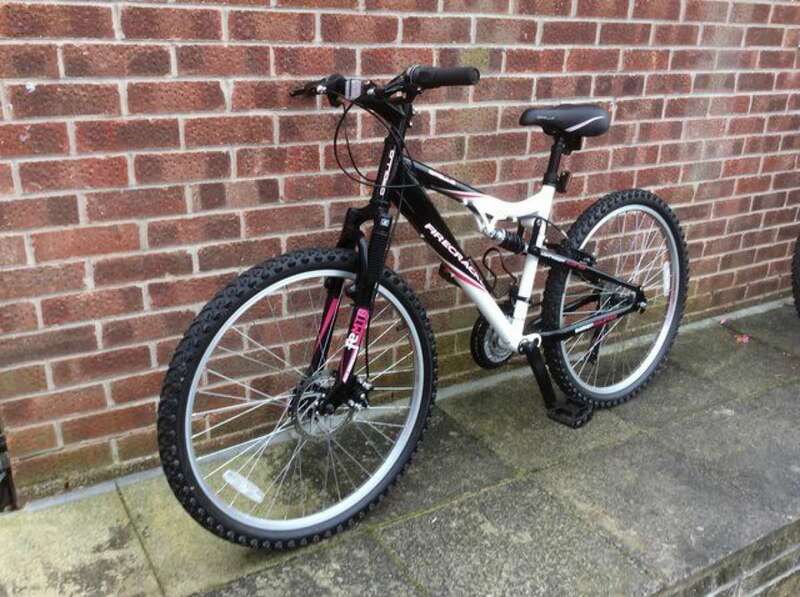 It is ideal for either recreational or off-road riding. It is in excellent condition and has only been used a couple of times. Any inspection welcomed. It was bought new for £269 therefore a bargain at only £60.